For all intents and purposes the 2015/2016 season has effectively begun. Of course, it's too early to say who will win the Premier League. The lack of real-time transfers and usual transfer gossip is indicative of the early pre-season period. But I feel that we have enough information at hand to look at some interesting fixture patterns which may influence our initial picks. For instance, Steve McClaren's return to the North East could be problematic as his team faces Southampton (H), Man United (A), Arsenal (H), Chelsea (H) and Man City (A) in 5 of their first 8 matches. Such a difficult patch may mean another relegation run for the beleaguered Geordies. In fact, McClaren may already be a hot favourite for the first sacking of the season without a ball being kicked! Another manager who will be very anxious is Brendan Rodgers. Liverpool ended the season on a downer and are still bogged down with the "Will he? Won't he?" Raheem Sterling saga. To top this off the early signings of Bogdan, Milner and Ings are hardly inspiring to say the least and don't exactly ooze Champions' League material. But what's even worse is their upcoming run of away games. Having a quick glance, Liverpool's first "easiest" away game won't come until December 19th v Watford! This means that Liverpool need to secure a virtually perfect home record before the end of the year so that they can cater for any bumps on their away journeys. Ironically, this also means that rotating Liverpool defenders will be a lot easier for FPL manages in the first half of the season, as you could bench them away from home with almost no worry. Looking at the newly promoted teams, their run of games varies considerably and will offer different narratives throughout the season. For instance, Bournemouth's first 8 Gameweeks are relatively reasonable but this is offset by the fact that their December fixtures are very hard and they could come unstuck by the midway point. Watford's final 6 games of the season aren't too difficult and this could be key if they are stuck in an expected relegation battle. As for Norwich, they have a tricky August but could potentially make up lost ground between September-October. Finally, the fixtures of the Top 4 teams are probably the most interesting. Man United have a good run of games in the first half of the season, specifically in November and December. But crucially, their April and May fixtures aren't too bad either, which will complement their chance of a semi-serious title challenge for the 2015/16 season, subject to some decent transfers. Bale, anyone? Chelsea's fixtures are relatively balanced month by month, but they could fill their boots during December. Failure to do so could be a make or break point for them. In relation to this, City's mid-November to mid-December games could be even more problematic and their final 5 games of the season aren't exactly that fantastic either. As for Arsenal, they have a mixed bunch of "easy" and "difficult" games for each month of the season. However, their March-May games are fairly decent and winnable, which could put them in good stead if they are pressing for the title around that time. There you have it. I look forward to tinkering with my team once the game resets around early-mid July. 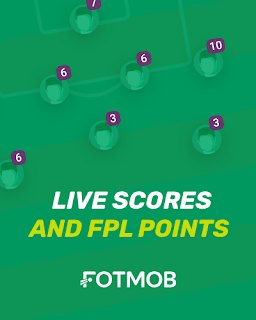 If you haven't already done so, you're welcome to join the @FPLHints League by entering the code 9672-5608 (only valid until the game resets - don't use it afterwards). Aside from that, I will be picking my team a bit differently in the upcoming season. I will hopefully be relying on algorithms. Keep an eye out for this method from early July! Last year I finished 84th. Name in lights again - "Best FPL Blog" Finalist for a second year in a row. 0 hits for the first 9 Gameweeks. Fabregas #MNF captain bonanza in GW 17 (elevated team to highest in-season rank of 6.8k). Dame N'Doye "joy" (0.1% ownership) in DGW 34. Football Blogging Awards (Nov 2014) - Good times! Giroud's "Red Card"/Boxing Day Massacre (sold Rooney who scored a brace). Crashing out of the FPL cup in the first round. GW20-31: 8 red arrows and overall fall from 11k to 84k. Failure to score a ton (100+ in a GW) during 14/15 despite the presence of three DGWs. The story is over. Gameweek 38 is long gone. The dust has settled. Now is the time to contemplate and reflect at the season that was. It's not easy making transfers earlier than the average FPL manager so that they can see your team in advance on a weekly basis. There is also a burden of responsibility when your FPL team is scrutinised by your followers, readers and peers. With this context in mind, the blog team has successfully finished in the Top 1.1% for a fourth season in a row. The aspiration of "The Top 1%" should be the minimum aim of any seasoned FPL manager. It is a reasonable aim and a sustainable target in the malleable world of FPL. I am content with the status quo as it shows consistency, specifically with 13/14 and 14/15. At the same time, I have accepted some blunt lessons and stark realities which I intend to implement in the future. Six green arrows out of 9 rocketed my team up to 14k. At this point I was already aspiring to gain my highest FPL finish since 2012. This was in large part due to my investment in Forster/Clyne which culminated in numerous clean sheets, as well as my fantasy returns from Fabregas and Costa. I can't recall of any captain fails in this period either. With hindsight having Bertrand over Clyne would have worked far better until December, but there was no point in wasting a transfer and making a horizontal swap. My frustration with Tadic came home to bite me after he returned 20+ points not long after I sold him. However, I sold Tadic to fund a move for Pelle who was amazing during this period. Such was my discipline in the first 9 weeks that I didn't take a single transfer hit. I put this down to my success of long term pre-GW1 planning. The fact of the matter is that I got cocky. I was living on the edge. I saw good stats for high ownership players, but still aimed to buy and captain those that weren't owned as much as the others. Just because a few risky captain picks paid off, I thought it would constantly work for me. 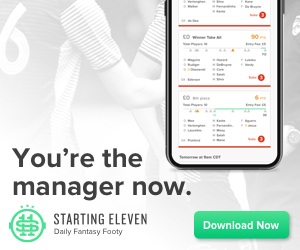 On the eve of Gameweek 18 I could have "played it safe" and I could have stablised a Top 10k position by copying the teams above and around me. I also failed to see the rise of Kane before he became a bandwagon player. If Gameweek 17 was ecstasy, Gameweek 18 was a disaster - probably my worst ever Gameweek in terms of decisions made. I sold Rooney for Giroud, and yes it was for another -4 hit. Rooney scored a brace and Giroud got a red card! To top things off, I benched Austin and lost a further 7 points. The average score was a staggering 61. Sadly, I lost a lot of points and it was the beginning of a steady decline. In anticipation of this fear, not soon after the turn of the year, I wasted a FT and activated my wildcard. The response prompted me to invest in a "Power 8" and the "£Shop Defence". But this only served to cost me points on the bench and was complemented by some captain fails. The revival of Giroud and dominance of Sanchez (and not having them) also cost me points big points. Incidentally, whenever I had either in my team they didn't yield a single fantasy return! From then on it was catch up as many of my respective peers smashed open the doors of the Top 10k (and stayed there till the end of the season). 4 green arrows sums it all up. To be languishing 80-90k is a horrible feeling for someone who isn't used to it. I may sound disrespectful in saying that, as some people may be overjoyed to finish thereabouts every season - not me. The Top 1% was flickering away fast. I didn't captain Austin and didn't have Benteke when they scored big during their Double Gameweek. It wasn't all doom and gloom. I still had two more Double Gameweeks to exploit, but more importantly I had my all-season wildcard. Getting Ivan/Terry for a good few weeks helped my cause. But ultimately it was that mega DGW34 and the purchase of N'Doye that put me back on track. I activated my wildcard and bought 10 DGW players. The Liverpool and Chelsea midfielders gave mixed results, but 41 defensive points culiminated in a score of 95 points and a weekly rank of 5k. More significantly I went up overall from 62k to 30k. From there on in it was about consolidating my overall rank. DGW37 wasn't great. But the fact that I ended the season on a high with a flurry of mini-league green arrows put a smile on my face. Sure, Skrtel's -2 probably robbed me of a definite Top 1% finish. However, 5 green arrows out of 7 shows that my team didn't cave in, the all-season wild card worked and normality had been restored! Top 1.1% for another season was duly appreciated, as was my overall 8th place ranking in PlayTogga's Perfect XI game and numerous FanFeud wins. FPL should be about fun. It's for that reason that I make no apology for my love of MNF games and their prospective captains, as well as my passion for dabbling with differentials. I build my teams so that they can be consistent and finish in the Top 1%. Yes, we all want to do well and luck has a large part to play in it too. As is evident with the data below, I could have been ranked far higher had I got my captain and non-sub picks spot on every week. I intend to play FPL again for the 15/16 season. I probably won't take as many risks as I have done in the past two seasons and would place more emphasis than ever before on science and maths for my team selection, transfers and captain picks. Just wait and see. Aside from that, I hope you have a good break from FPL and enjoy the pre-season!